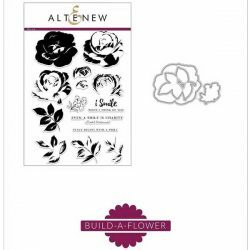 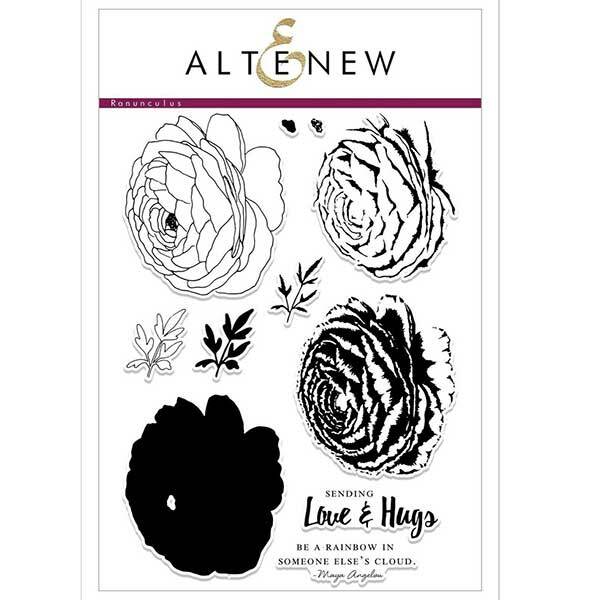 Build A Flower: Ranunculus stamp and die set by Altenew. The Ranunculus flower can be found in many different colors and shades from bright and bold to soft and subtle. 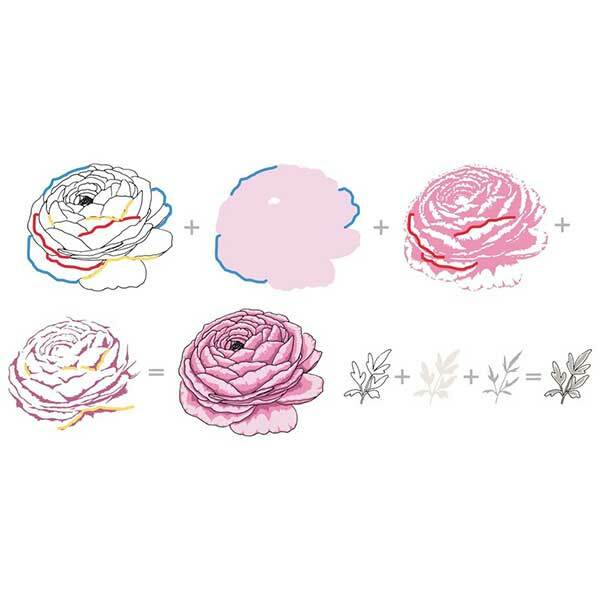 Their petals are tightly grouped and multiple giving them a bowl like look. 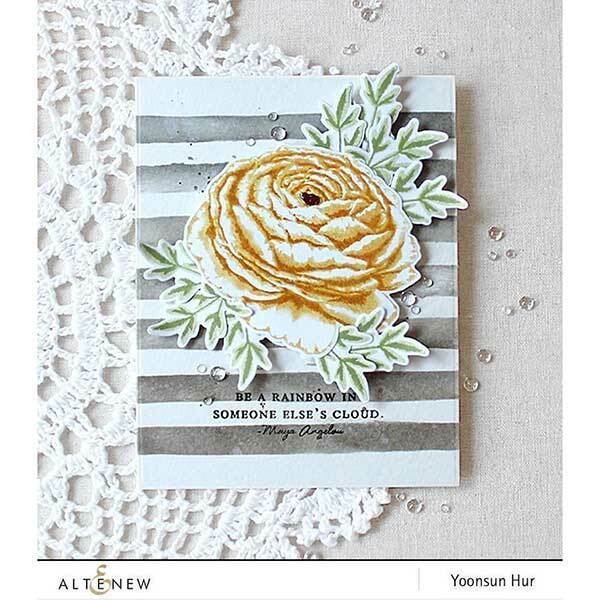 The petals are also very delicate looking like crepe paper and give them a very feminine look. 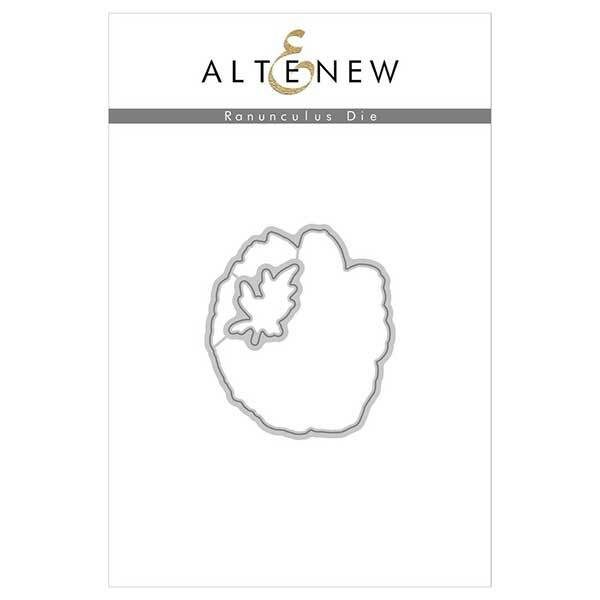 It symbolizes charm and attractiveness. 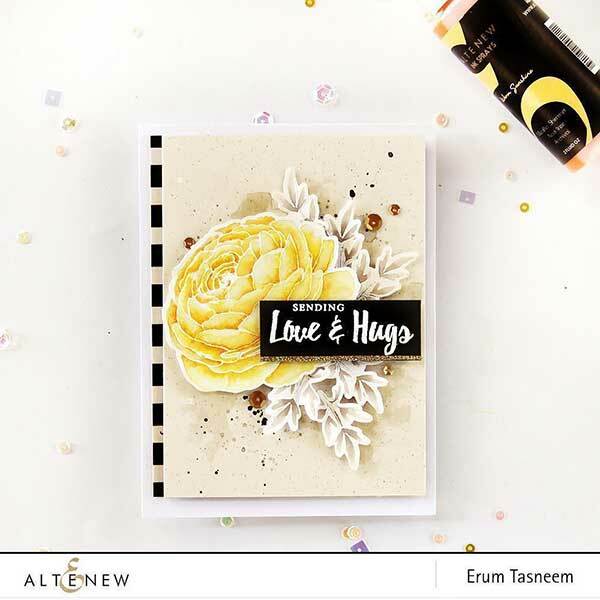 This beautifully layered bloom can be stamped using all of the layers in the set or mix and match with or without the outline. 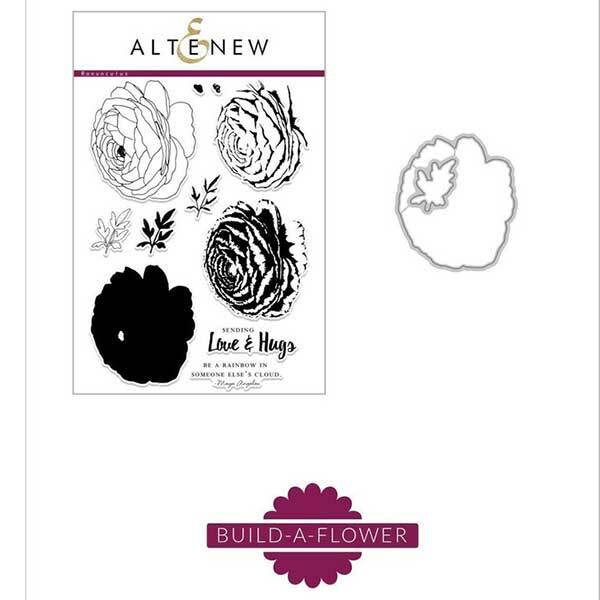 The outline can then be used on its own and used with many coloring mediums. This flower would make a great focal point or even backgrounds, as it is a large size this will work great on all different kinds of homemade projects such as home decor and scrapbooks as well as hand stamped cards- or even try with fabric inks to create your own designer fabrics. 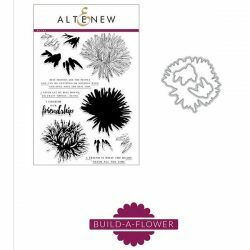 The Build-A-Flower Ranunculus truly is a must have for your flower collection. 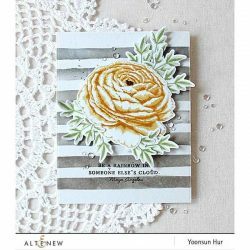 Set includes 1 6×8 stamp set (11 stamp images) and 1 coordinating die set (2 dies).